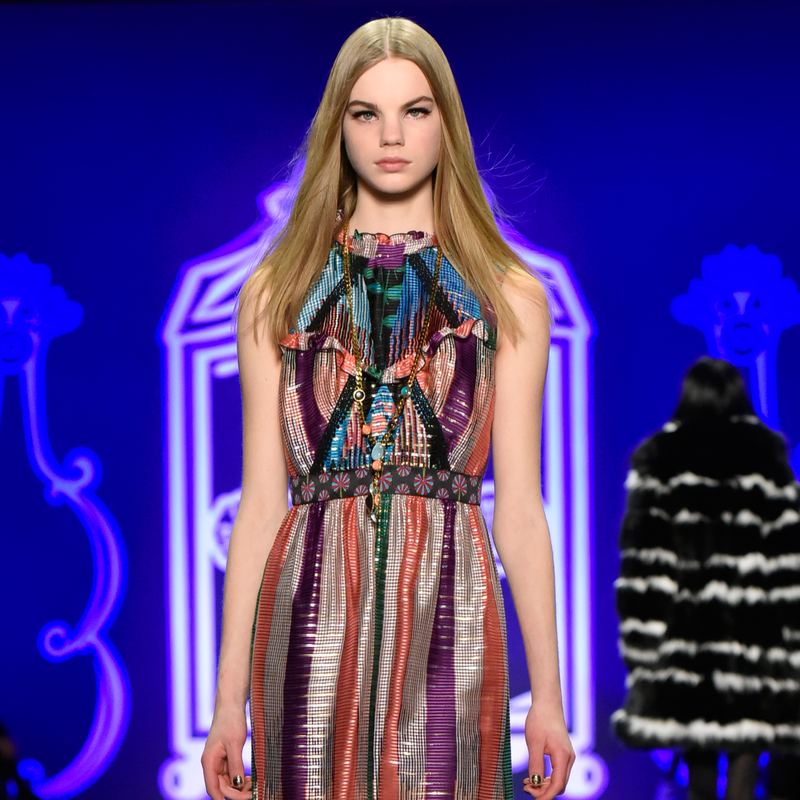 Anna Sui harlequin print metallic shadow stripe dress. 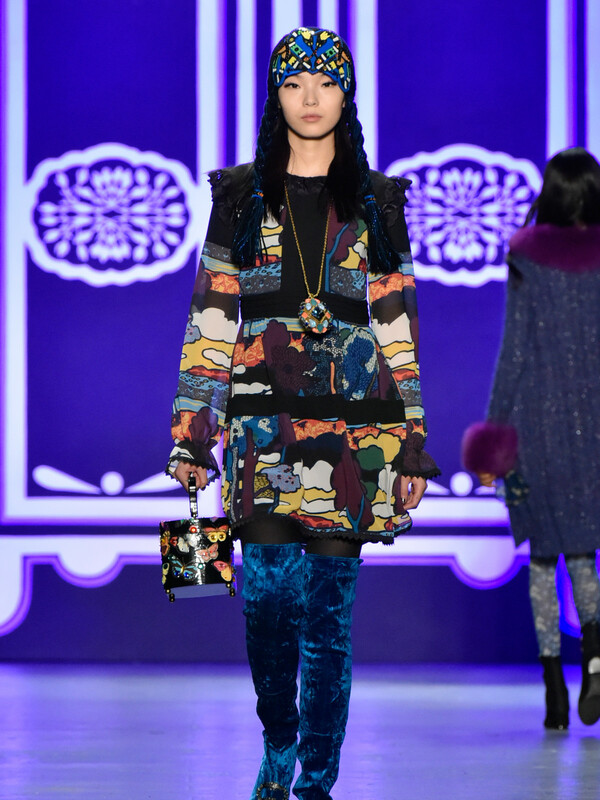 What: Anna Sui fall runway show. 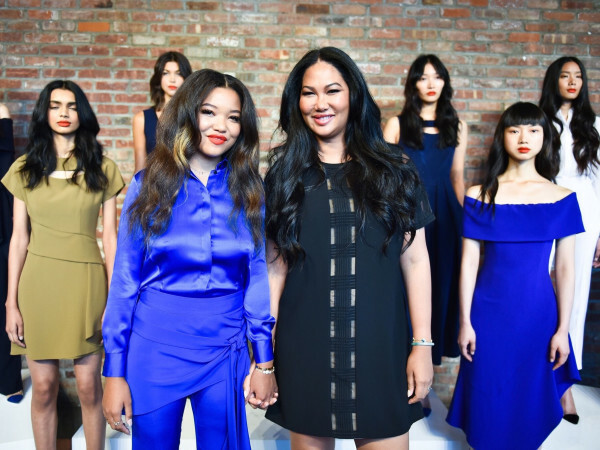 The inspiraton: Sui specializes in kicky fun clothes for a youthful clientele who aren't old enough to recall her pop-induced references but are sure to dig her free-spirited style. 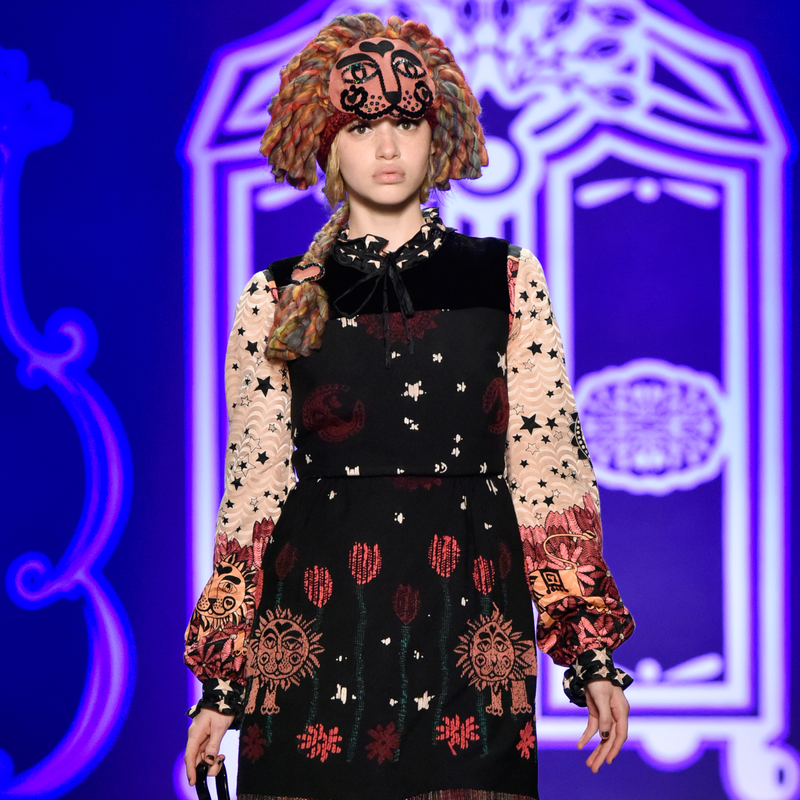 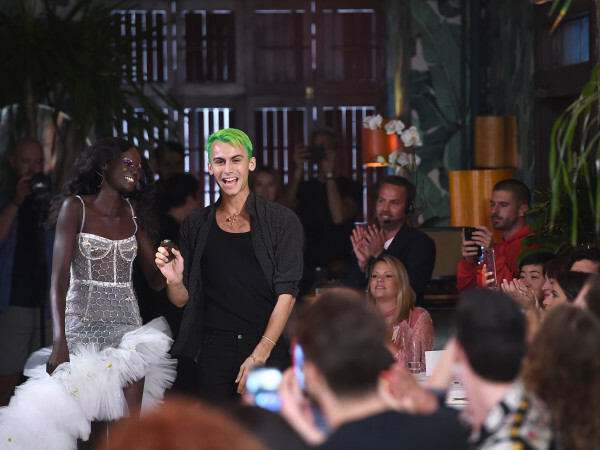 She coined the term "Pop-sydelic" to describe her fall collection; it's a mix of pop and pyschedelic looks inspired by such pop artists as Peter Blake, known for the collage on the cover of the Beatle's iconic album, ​Sgt. 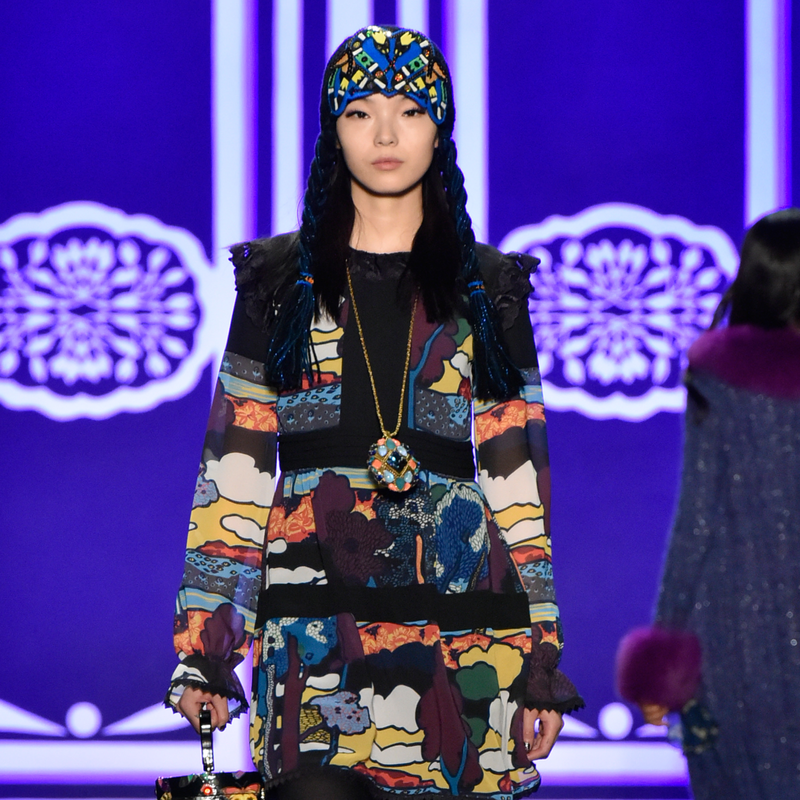 Pepper's Lonely Hearts Club Band, and Niki de Saint Phalle, whose interpretations of the voluptuous female form appeared in embroidery on some of Sui's designs. 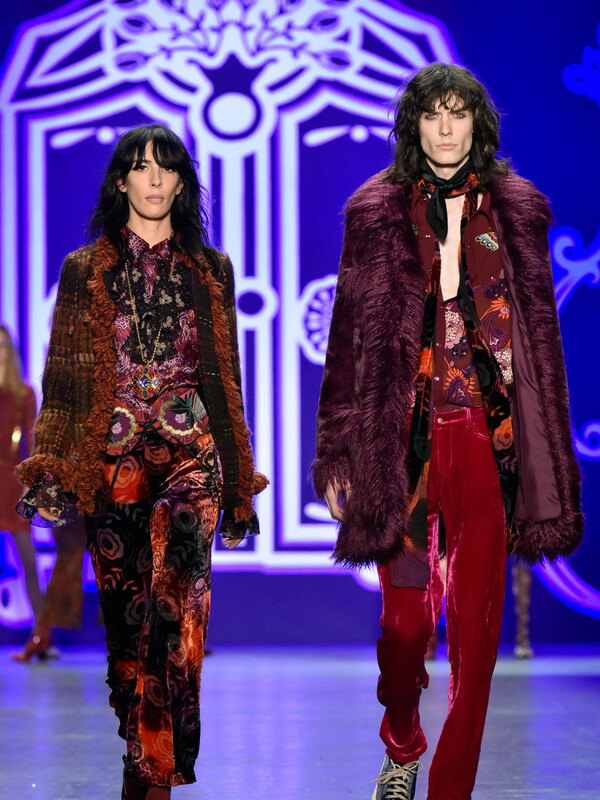 The look: The collection has a '60s pop star Carnaby Street retro flair with plum fur coats, floral print shirts and velvet pants and scarves. 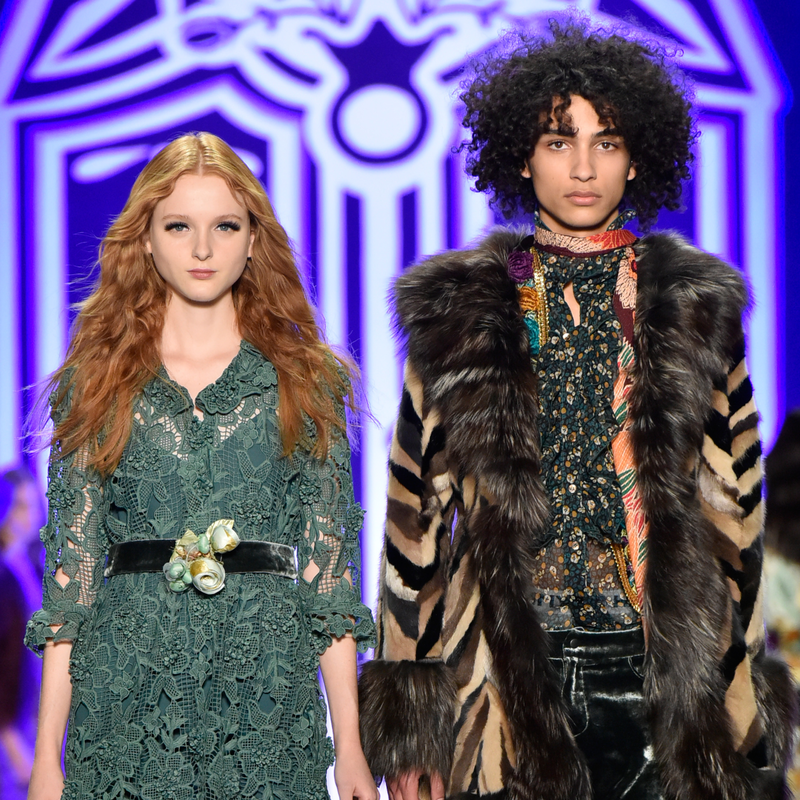 Sui mixes a kaleidoscope of prints, including butterfly, peacock, lion and leopard patterns, in dresses — long and short — along with pants, tunics and sweaters. 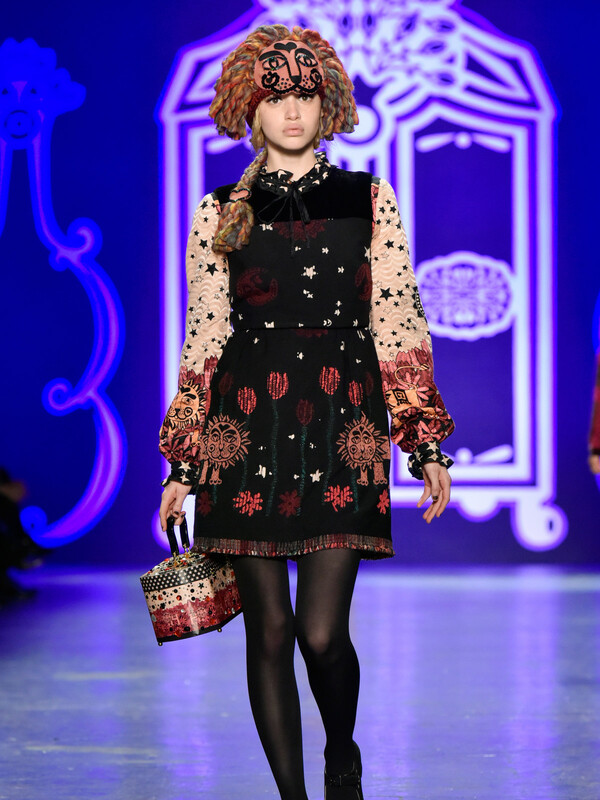 There's even a "Lucy in the Sky" print chiffon dress with images that mimic the classic Beatles song. 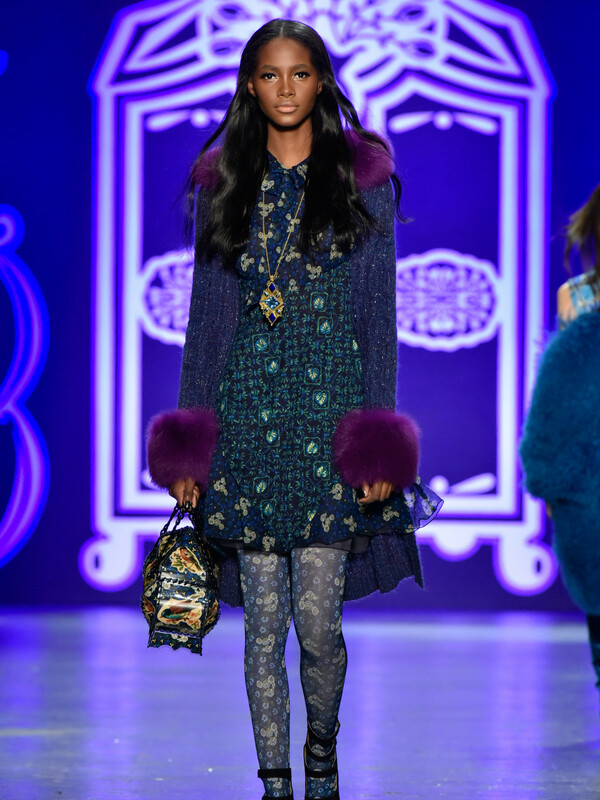 Many of the women's looks are accessorized with patterned stockings, felt animal caps, jeweled necklaces, decoupage lunch box purses and floral print teardrop cut-out Mary Janes. 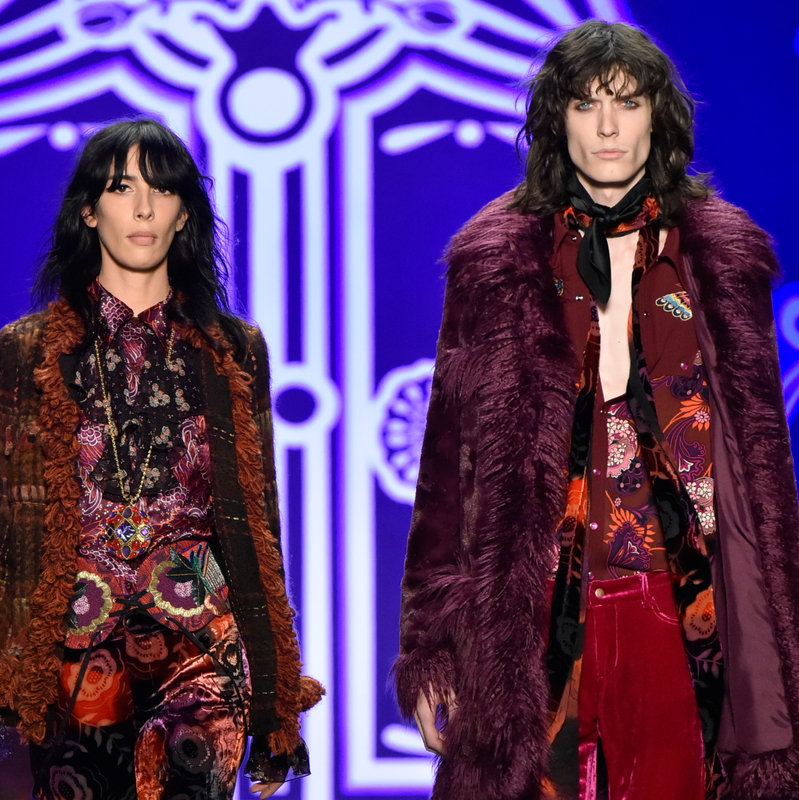 And the men's looks recall the stage style of Jimi Hendrix and Mick Jagger, with tight velvet pants and oversized fur-trimmed coats. 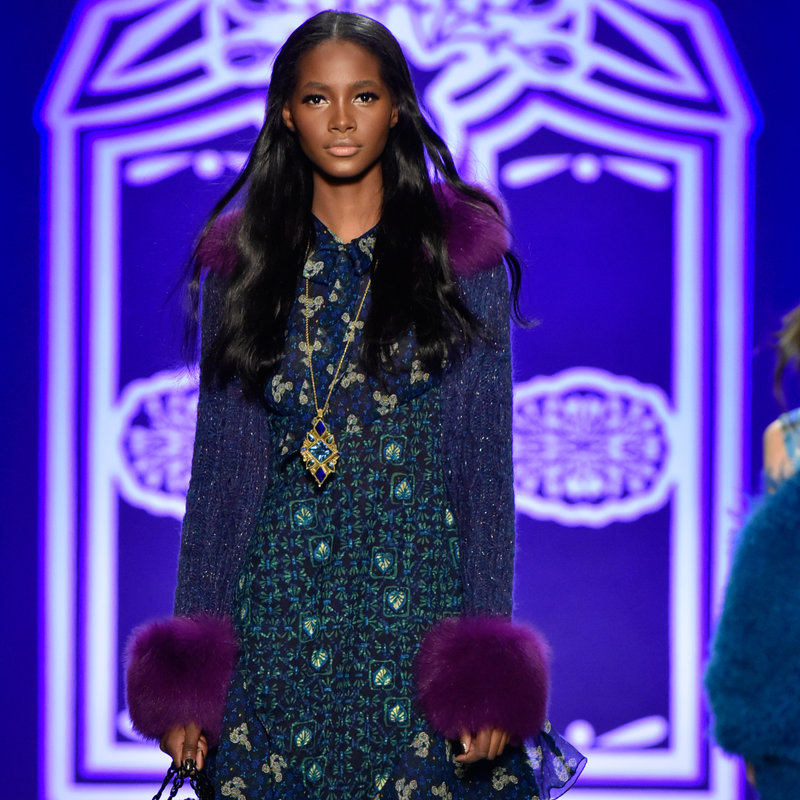 If you can't be a rock star, at least you can dress like one.